The Turkish Center "Turkevi", which has 3369 Sq. Ft. interior tenant built-out construction area, is scheduled to start as soon as building permit is obtained. We already have a general contractor (GC) donated his service. 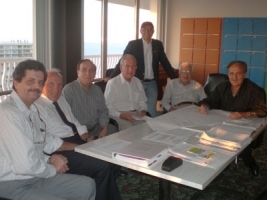 Board of Trustee had a meeting, solely for the checking and commenting of plans,of "Turkevi". And anonymously approved with some minor changes. Those are to enlarge the kitchen area, moving the vending machine to another location. The plans can be found here. Florida Turkish Center Foundation (Turk Evi Vakfi) purchased additional space (1,286 square feet) and closed on it on March 23, 2009. The Foundation (Vakif) paid $130,000 for the additional space. With the purchase of this new space, the size of Turk Evi increased from 2,005 square feet to 3,291 square feet. This new space added will provide more functionality to Turk Evi and it will provide more flexibility for the activities to be organized at Turk Evi. 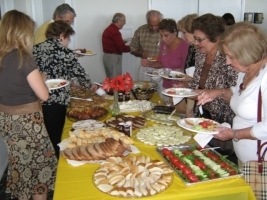 Florida Turkish Center Foundation (Turk Evi Vakfi) organized 2 events on March 22, 2009. First one was a "brunch" for the sponsors who donated towards the purchase of Turk Evi. The second was an "open house" at the Turk Evi and it was open to general public. Both activities went very well and many members of South Turkish community attended the meetings. Attendees were very enthusiastic about the new Turk Evi and made very positive and encouraging comments during the activities. The mortgage loan on "Turk Evi" has been refinanced. Florida Turkish Center Foundation (FTCF) has been soliciting for new investors to reduce the interest rate on "Turk Evi" mortgage loan for some time. FTCF's calls have been answered. Five individuals came forward and offered to refinance the mortgage loan and reduce the interest rate from 7% to 4%. 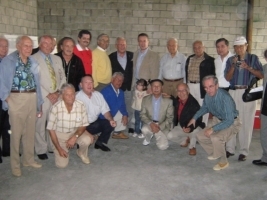 FTCF Board of Trustees, during a board meeting held on January 30 2009, approved the proposal. The decision was unanimous. The closing on the refinancing took place on January 31, 2009. 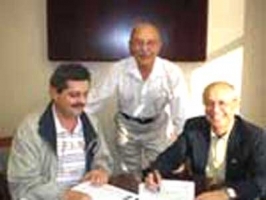 Closing on the purchase of "Turk Evi" took place on December 1st, 2008. This was a historic moment for FTAA and South Florida Turkish community. After 41 years of waiting, South Florida Turkish American community now has a place to call "Home". 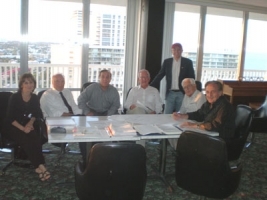 Board of Trustees Approved the Purchase of "Turk Evi"
Florida Turkish Center Foundation (FTCF) Board of Trustees approved the purchase of "Turk Evi" with a unanimous decision on November 24, 2008. FTCF made many announcements via mail and through newsletters, held many private board meetings and, held 2 meetings that were open to general public in last several months. 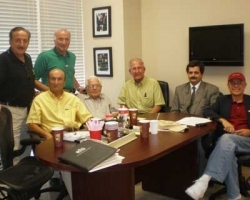 After received an overwhelming support of South Florida Turkish American community, the Board of Trustees decided to go forward with the closing scheduled on December 1, 2008. The second meeting was held on Nov. 22nd,2008 to explain the latest developments, status of design work. All questions were answered by Mr. Nur, Mr. Ornarli and Mr. Orkan. Meeting was held on 11/6/2008. 2- Searching and finding the first and second property. The reasons why the first property was canceled. The comparison in prices, advantages and disadvantages of both properties are thoroughly studied. The secretary Mr. Ornarli explained the design of built-out of the first and the second property, and website works. Erkan Nur, Atilla Orkan (AI), Fuat Ornarli (PE) visited Fort Lauderdale Building Department Planning/Zoning Management office. They made a wriiten request for the evaluation of the planned use of the location as a Turk Evi. The request included a list of planned use of the location, arial picture of the building and drawings showing 3 possible layouts. Erkan Nur and Atilla Orkan also visited office of the Tides Condominium Assocaition and asked questions about the restrictions on the usage of the subject space. The office manager's answers were encouraging.